In a recent decision – Commonwealth v. Harris – the Appeals Court reversed the denial of the defendant’s motion to suppress a firearm seized by the police because the police lacked reasonable suspicion justifying the stop of the defendant. The basic facts were as follows. On the afternoon in question, three Northeastern University police officers “heard a radio broadcast stating, ‘two black males in their early 20’s, one wearing a black hoody, and the other wearing a gray hoody, possibly with a third person, casing the bike racks by Snell [L]ibrary’ at the university. 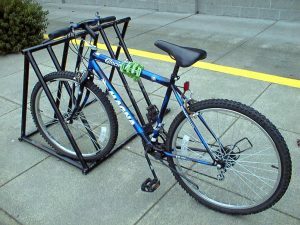 This information was initially provided by a security officer employed by the university, who was stationed by the bicycle racks because the area was a high-crime area for bicycle theft…. [T]wenty minutes after the broadcast,” the police “saw two men fitting the broadcast description, along with a female” walking together “from the direction of the library. The three people in the group were the defendant,” another man (Ferguson-Boone), and a woman (Wade-Joseph). The defendant and Ferguson-Boone were in possession of bicycles. The officers approached and “stated to the group that there had been a number of bicycle thefts in the area, and asked where the group was coming from. The companions responded that they had eaten at [a certain] restaurant in the campus food court; at least one of the group was carrying a container from that restaurant…. [T]hree separate conversations ensued,” in each of which an officer spoke to one of the three companions. “The officers asked [the two men] whether [they] had stolen the bicycles [in their possession], and they responded that they had not. [The defendant’s interviewer] asked the defendant if he had previously had issues with the police, and he responded by raising his pant leg, revealing a GPS-monitored ankle bracelet. [That officer] then asked the defendant for identification, and the other two officers followed suit, asking for identification from Ferguson-Boone and Wade-Joseph. The defendant did not produce identification, but did orally provide his name, date of birth and address,” which his interviewer then called in to “to police dispatch, in order to conduct a criminal history and warrant check. Ferguson-Boone provided some form of identification card, which [his interviewer] took and held…. Wade-Joseph produced her university student identification card…. As [the defendant’s interviewer] was calling in the defendant’s information, [another officer] observed the defendant make a movement to his left side, causing his sweatshirt to ride up and expose a knife clipped inside of his waistband.” The police seized the knife and commenced a pat frisk of the defendant, whereupon he fled. “While fleeing, the defendant dropped [a] firearm.” He was later apprehended and charged with illegal possession of a firearm and related offenses. He filed a motion to suppress the firearm, contending that the police lacked reasonable suspicion to stop him. The motion was denied. The defendant was convicted of firearm offenses.